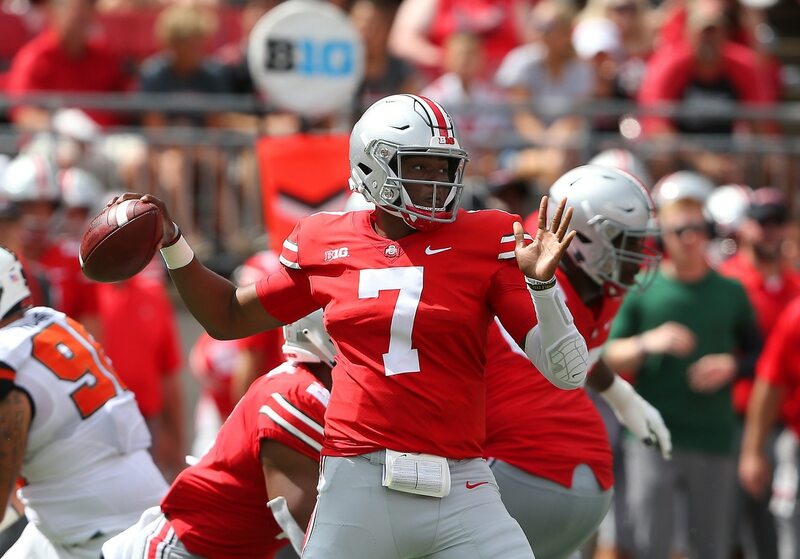 Compelling big-time matchups have been in short supply the first couple weekends of the new season, but college football Week 3 has them in abundant supply. Ohio State will get its first big test of the season. There’s an underrated showdown that could prove to be the best of Week 3 going down in Stillwater. Pac-12 After Dark won’t disappoint this week, either. We’ll take a look at these angles and plenty more as we dive into the top storylines for college football Week 3. A massive Category 4 storm, Hurricane Florence, is currently bearing down on the East Coast, and it is going to have a big impact on some games this weekend. Two games — UCF vs. North Carolina and West Virginia vs. North Carolina State — have been cancelled. Norfolk State vs. Liberty has been postponed until until December. Many other games will be impacted by the weather as well, including Clemson’s game against Georgia Southern and Virginia Tech’s game against East Carolina. This weather will make these games extremely unpredictable, as wet, muddy conditions usually mean turnovers will abound. In addition to the havoc this storm will bring to the games, our thoughts and prayers are with everyone in the danger zones as Hurricane Florence bears down. Can Iowa State do it again? Last season, the Cyclones stunned Oklahoma, which was No. 3 in the nation at the time, with a 38-31 upset victory in Norman. Then later on they pulled off another stunner against TCU, which was ranked No. 4. The Sooners will be seeking some revenge as they travel to Ames to take on Iowa State once again. 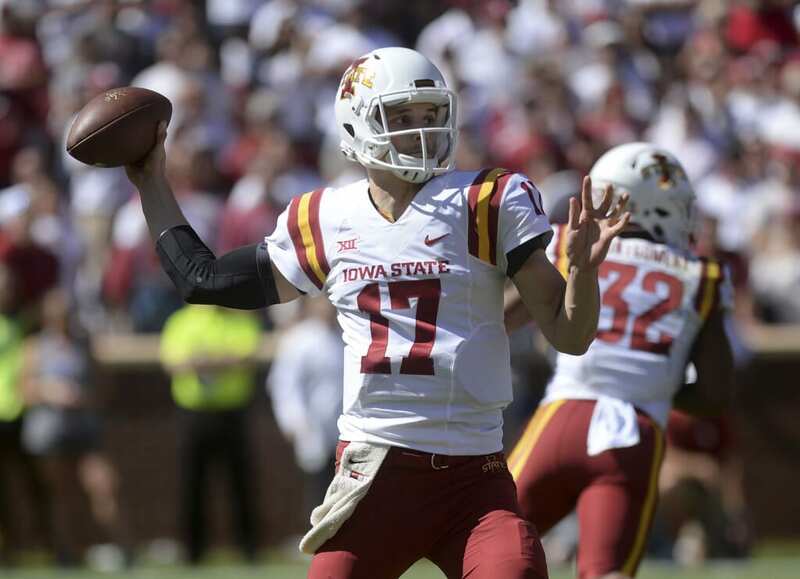 It’s going to be fascinating to see if Matt Campbell can get his guys to take down the powerhouse that is Kyler Murray and Co.
Of course, a big reason to doubt the Cyclones this time around is that quarterback Kyle Kempt is dealing with an ankle injury that has him questionable for the game. If Kempt is unable to go, then it will fall on sophomore Zeb Noland to lead the offense. That’s not ideal. Will Adrian Martinez be able to play for Nebraska? Before he was forced to exit Saturday’s game against Colorado with a knee injury, freshman quarterback Adrian Martinez had everyone buzzing over his spectacular play. He racked up 304 yards and three touchdowns, and the Cornhuskers led the Buffaloes by one point when he had to leave. Of course, Nebraska fell apart after that, losing Scott Frost’s debut in heartbreaking fashion. The official word at this point is that Martinez is “day-to-day” with his knee injury. The Huskers hope he can play when they host Troy. But if he cannot, then it’ll be up to Andrew Bunch to get the offense going. Considering the way he performed at the end of last weekend’s game, that’s not confidence inspiring. Just when we thought maybe, just perhaps, Brandon Wimbush was ready to turn a corner and become a proficient quarterback, he laid an egg. Last Saturday, at home against Ball State — hardly a defensive powerhouse — Wimbush was all over the place. He completed under 55 percent of his passes, threw three interceptions and fumbled once, though that ball was recovered by Notre Dame. The Fighting Irish have a chance to go places this year. They are a good team. But if Wimbush continues to complete passes at such a low clip while also turning the ball over like this, it’s going to severely hinder his entire team. Up next for Wimbush is a date with Vanderbilt’s feisty defense. The Commodores have allowed just 8.5 points and average three forced turnovers per game. If Wimbush isn’t sharp, then the Fighting Irish are going to be on upset alert in Week 3. Just like he did last year, Jonathan Taylor is clearly the focal point of Wisconsin’s meat-grinder offense. Blessed with one of the best — if not THE best — offensive lines in the nation blocking for him, he’s already piled up 398 yards and five touchdowns on the ground. The Badgers are hosting BYU this Saturday. The Cougars haven’t exactly impressed defensively this year so far, allowing more than 150 rushing yards per game against Arizona — it’s worth noting Khalil Tate only had 14 rushing yards in this game — and Cal. This matchup is a prime opportunity for Taylor to have a monster game and seize control of what is, to this point, a wide-open Heisman race. Ed Orgeron’s Tigers opened our eyes in a big way with a prime-time upset victory over Miami, which entered the season ranked No. 8 in the nation. We’ve since learned that the ‘Canes in no way deserved such a ranking, but LSU’s performance in that contest was not diminished by that. After easily dispatching Southeastern Louisiana last weekend, the Tigers are now facing a true test against Auburn that will give us a much clearer picture about just how good they are in 2018. Auburn’s offense is explosive. It averages nearly 500 yards and 42 points per game. LSU’s defense is stingy, to be sure. What we don’t really know yet is what the absence of K’Lavon Chaisson (season-ending ACL injury) will mean against an offense that can win big through the air and on the ground. On the other side, now’s the time for Joe Burrow to step up and take the passing game to another level. Easier said than done, of course. But he’ll need to be sharp to give his Tigers a chance on the road in this one. Which defense will prevail when Broncos take on Cowboys? As good as the LSU-Auburn and Ohio State-TCU games figure to be, Boise State going into Stillwater to take on Oklahoma State (3:30 p.m. ET on ESPN) could prove to be the most entertaining big game of college football Week 3. We’re talking about two teams that average more than 115 points per game between them. Both offenses can make you pay through the air and on the ground. The real interesting thing here is that both the Cowboys and Broncos have very talented defenses as well. So, this contest will come down to which one can make impact plays, forcing turnovers and shutting down third-down opportunities. Or, it could just be a glorious shootout, where the offense that has the ball last wins it. Either way, it should be a ton of fun. Scheduling cupcakes isn’t something many objective fans love about college football, but it has its uses. 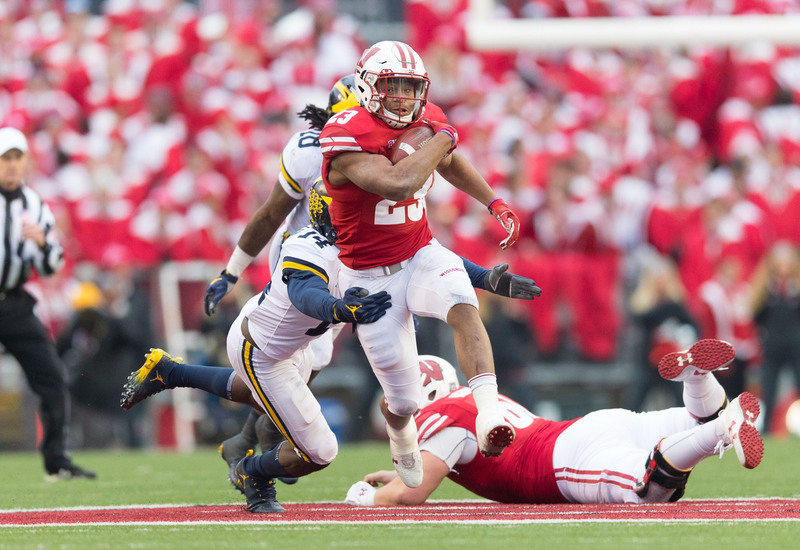 Essentially, games like the one Michigan had last weekend against Western Michigan and the one it has this weekend against SMU are typically like glorified scrimmages. After the Wolverines botched things in Week 1 against Notre Dame, it’s clear they need the work on offense. The Mustangs should be an easy mark for Michigan’s offense this Saturday in Ann Arbor. They’ve allowed 44 points and 461 yards per game this year, and one of their two blowout losses came against North Texas. Just as we said last week previewing Week 2, if Michigan can’t open up a big old can of you know what against the Mustangs on Saturday at home, something’s wrong. In his first year at the helm with the Gators, head coach Dan Mullen watched his team suffer a tremendous embarrassment. Before last Saturday, Florida had beaten Kentucky 31 times straight — a streak that’s now broken. Thankfully, help is on the way. Colorado State enters Week 3 as a nearly three-touchdown underdog as it travels across the country to Gainesville. That said, Rams quarterback K.J. Carta-Samuels has been putting up big numbers in the first three games, so the Gators will have to shut him down to ensure victory. The real issue here is one of confidence. 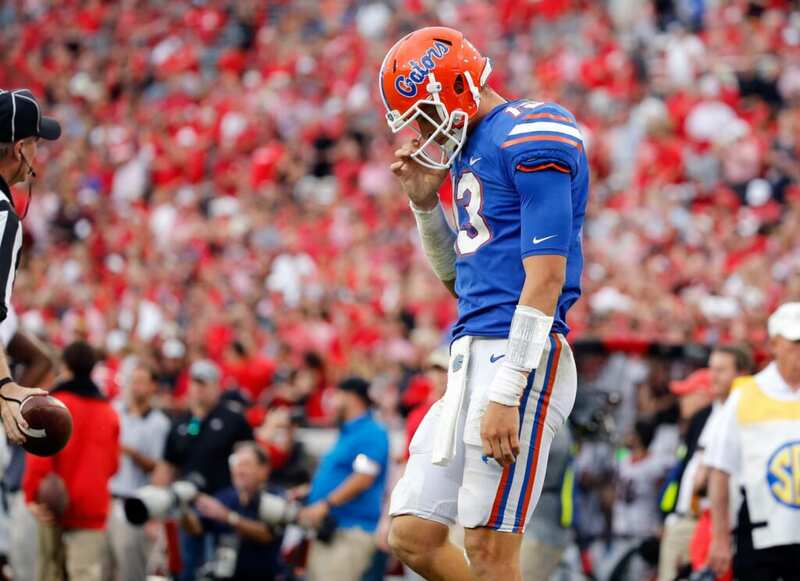 The Gators don’t have the kind of talent across the board that we’ve grown accustomed to seeing historically. Quarterback Feleipe Franks is prone to turn the ball over and is coming off a rough game against Kentucky. So, if the Rams jump out to an early lead it’s going to be very interesting to see how Florida responds after getting embarrassed at home last weekend. The Rebels have the unenviable task of hosting mighty ‘Bama this Saturday, and the last thing they want to do is let the Crimson Tide dictate offensively. Tua Tagovailoa, Jalen Hurts and Co. have cruised the first two weekend of the season, averaging 559 yards and 54 points per game. And the crazy thing about those numbers is that Tagovailoa has only attempted 35 passes because he’s been a part-time player. You have to believe that Nick Saban will start to feature Tagovailoa more consistently as the games get bigger, especially since it’s been reported he wants to redshirt Jalen Hurts if at all possible. With that in mind, ‘Bama’s offense is only going to get more potent the rest of the season. Having said all that — and understanding that Ole Miss has allowed Texas Tech and Southern Illinois to average nearly 558 yards of offense per game — the onus will be on Jordan Ta’amu, Scottie Phillips and the Rebels to keep the chains moving and keep Tagovailoa and the Crimson Tide offense on the sidelines as much as possible on Saturday. USC’s trip into Stanford Stadium was a wake-up call for true freshman quarterback JT Daniels. The young man struggled with accuracy and got banged up, at one point needing a trip to the locker room to examine what turned out to be a bruised throwing hand. Now Daniels and the Trojans are traveling to Texas for a prime-time date with the Longhorns. It’s a very big game for both programs, especially since both have already dropped a game in 2018. Head coach Clay Helton needs to see Daniels mature on the fly or replace him. The Trojans have one of the highest standards to live up to across the nation. And while everyone loves to see young stars develop, it’s really put up or shut up time for Daniels after two lackluster outings to open the season. Upset alert in Salt Lake City? 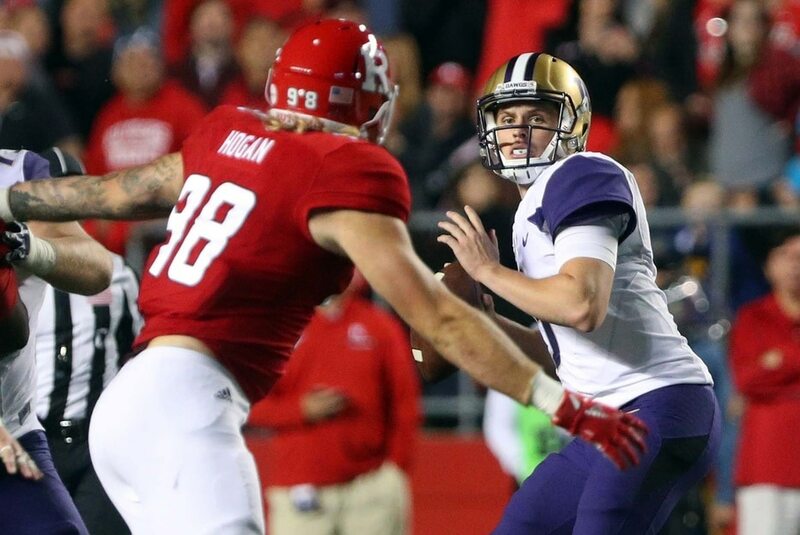 The Washington Huskies are going to be in Salt Lake City Saturday night for a showdown with Utah. This is a game I’m highlighting as an upset alert, mainly because I don’t trust Huskies quarterback Jake Browning, and the Utes have a very good defense. Utah has allowed an average of 143.5 yards and just eight points per game. Granted, the Utes did this against Weber State and Northern Illinois. That being said, they have been able to generate pressure (six sacks this year), which has been something Browning struggles with in the past. On the other side, Utah can really pound the rock, and junior quarterback Tyler Huntley has been an efficient passer. Washington’s defense is among the best in the nation, so this game could devolve into a defensive slugfest. If that happens, don’t be surprised if Washington drops its second game of the year. If you have not yet had the opportunity to watch Herm Edwards’ newest project in action, and if you get CBS Sports Network, we highly suggest you stay awake and park yourself in front of your television Saturday night to watch Arizona State take on San Diego State. The Sun Devils followed up an easy Week 1 blowout win with a rousing upset victory over Michigan State in Week 2. This team is well coached, and it has some impressive playmakers on both sides of the ball. The most impressive player you’ll want to focus on is receiver N’Keal Harry. This is a guy that everyone will know about come next spring when it’s time for mock drafts and the NFL Scouting Combine. He’s top-of-the-draft material, and so far this season he’s shown it with 12 catches for 229 yards and three touchdowns. Will Chip Kelly finally win his first game at UCLA? The Chip Kelly era at UCLA has not gotten off to a fabulous start. In fact, it’s been kind of a disaster. The Bruins were two-touchdown favorites in Week 1 against Cincinnati, but a series of unfortunate events turned it into an upset win for the Bearcats at the Rose Bowl in Pasadena. Then, of course, they went into Norman last weekend and were routed by the potent Sooners. This Saturday night things get a bit easier, but not by much. The Bruins will thankfully be back at home, but their opponent, Fresno State, features a defense that has some serious teeth. The Bulldogs lead the nation with three defensive touchdowns and eight forced turnovers. They also feature a balanced offense that should find purchase in UCLA’s vulnerable defense. It’ll take nothing but an immaculate performance by Kelly’s UCLA team to avoid falling into an 0-3 hole to open the season. Now we’ll really get to see if Ohio State is truly a championship contender. Playing in their final game without head coach Urban Meyer, the Buckeyes will travel to face a very good TCU squad, which will essentially be like a home team at AT&T Stadium in Arlington. This contest will have plenty to say about the potential championship pedigree for both teams. Obviously, Ohio State is one of the heavy favorites to make it to the Playoff this year. The Horned Frogs are somewhat of an outlier but have to be taken seriously if they can win this coming weekend over the Buckeyes. Those who love to see stars in action won’t have any shortage of options to choose from. 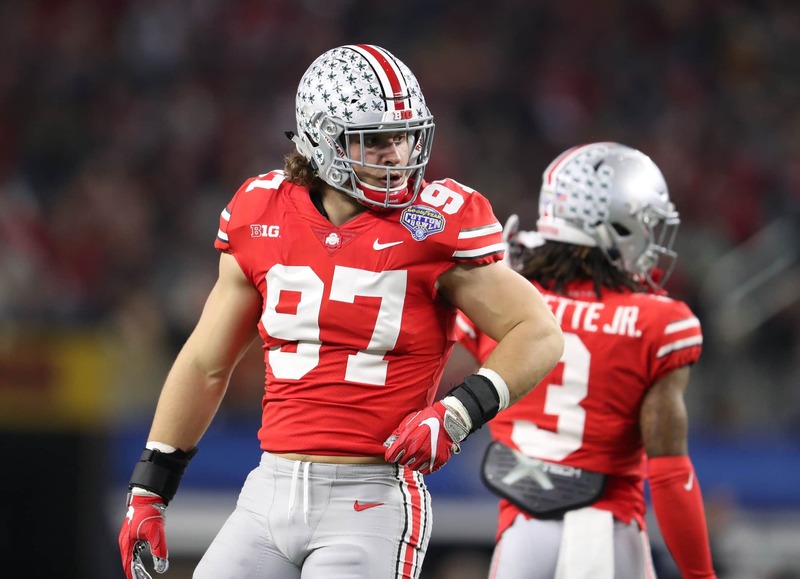 The Buckeyes are absolutely stacked, with future NFL star Nick Bosa and Dwayne Haskins being the linchpins. The Horned Frogs feature one of the most underrated dual-threat quarterbacks in the nation in Shawn Anderson, and their defense has seven sacks and four turnovers in two games. One of the biggest games of the early season, you can watch it on ABC starting at 8 p.m. ET.